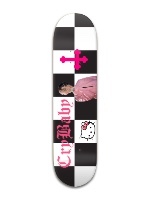 Design Your Own Penny Board Style Short Cruiser Skateboard! 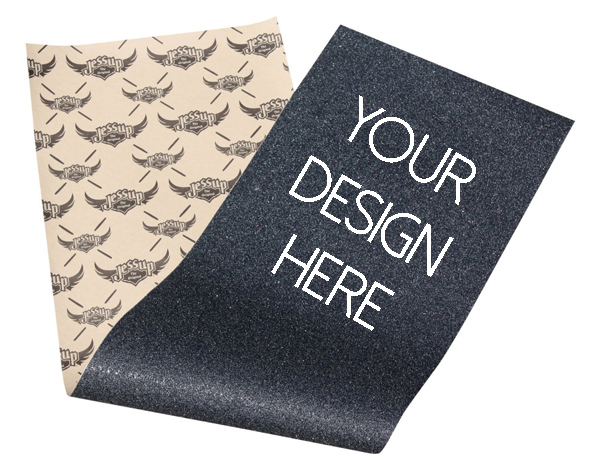 Design Your Own Penny Board Style Skateboard Deck! We’ve got the short cruiser skateboard shape that you want and we even let you design your own penny board on our world-famous Green Tail Skateboard and our 2016 skateboard models (no spoilers)! One shred sesh on this penny style skateboard equipped with cruiser style wheels and trucks and you’ll be hooked on the mini skateboard craze. We popped out the tail on ours to give a little more action than a traditional short cruiser and we also widened the deck overall for larger riders. But don’t worry, we have both a 25″ and an even shorter 22″ if you’re looking to go ultra mini. Mob alley cracks with impunity and surf the concrete sea like a salty old sailor on these little penny board style decks. What Does a Penny Board Style Skateboard Ride Like? 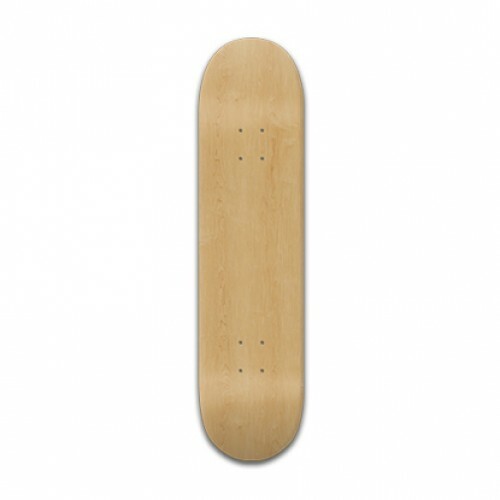 Besides being under 28 to 30 inches with a fishtail shape one of the primary defining characteristics of this skateboard deck shape is the type of gear typically mounted on it. Most short cruisers, including our Green Tail series, come equipped with gear you’d expect to find on a slightly different style skateboard based on the size. Most penny style skateboards use large wheels than you’ll find on a traditional skateboard and often have gear that’s more commonly found on longboards or cruisers. Its no wonder penny boards ride different than most other skateboards: with that kind of control on that small of a skateboard deck you can get an awesome ride. You get the control and grip from a larger longboard but the zippy maneuverability you’d expect from a classic fishtail shape. Our penny board style short cruiser skateboard Green Tail are an improvement on some of our older mini shapes and this size remains one of our favorites, particularly with the ability to slide and pump on flatland. Plastic Skateboard VS Wood Skateboard? Until we find a better way to make truly quality skateboard we make all of our penny boards out of wood, none of our boards are made out of plastic. 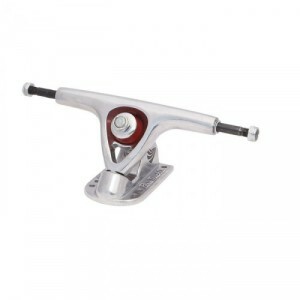 We use traditional or fine grain grip on the top so you can get more control as you skate without the intense coarse grip for a downhill skateboard. While we do like formed skateboard tops we’re not huge fans of the way plastic skateboards have less grip than wood skateboards. 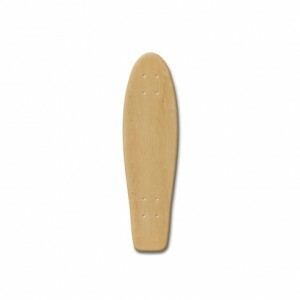 Another downside to plastic skateboards that caused us to choose wood for our mini skateboards was the overall deck feel. At that tiny size the bounce is great but too much bounce can be intense even on the boardwalk when riding one of these. Plastic skateboards are fun but in our opinion if you’re getting a professional skateboard deck you should get wood. Unlike a longboard a penny skateboard style skateboard deck gives a smaller space for the graphic design so the actual graphics on the smaller boards create a great focal point. 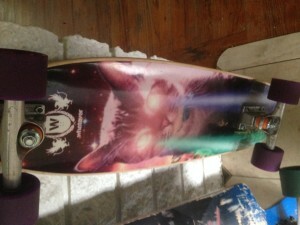 This cat skateboard, (Editor: technically a laser cat skateboard bro), gives focused and clear graphic able to be seen at a glance.  Longboard designs frequently require the eye to travel up and down the board but if you design your own penny board the graphic can be focused and centered. Our Finest Short Cruisers, Just For You! Of all the skateboards in the office fleet the penny board style skateboards is one of the ones we’ve checked out the most. If you’re interested in being able to design your own penny board the Green Tail series was engineered to be the perfect choice! If you like the look of the 25 inch Green Tail series but want something even tinier we have a 22″ model that’s smaller and lighter. 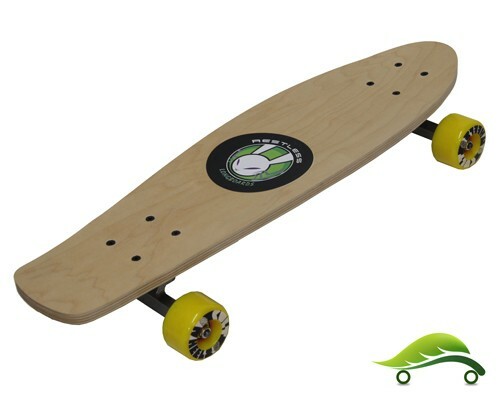 Our 22″ Green Tail is also made out of wood for extra durability, no plastic cruisers here! Want to design other shapes? 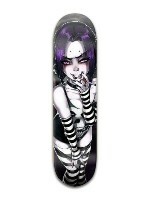 Take a look at our other custom shortboard skateboards and custom mini skateboards! Be on a lookout for our new skateboards, some of the newest shapes will be penny board style!